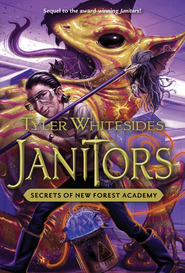 "In five minutes," Walter said, "I'm going to use this squeegee to open a portal to New Forest Academy. We're going to move in and apprehend Director Carlos Garcia." Spencer's surprised look mirrored Daisy's. Penny looked excited and Alan simply nodded. "Tonight we finish what we almost did last November," Alan said. "We're taking the warlock's hammer and nail." The stakes have never been higher, and you've never seen squeegees do this before! 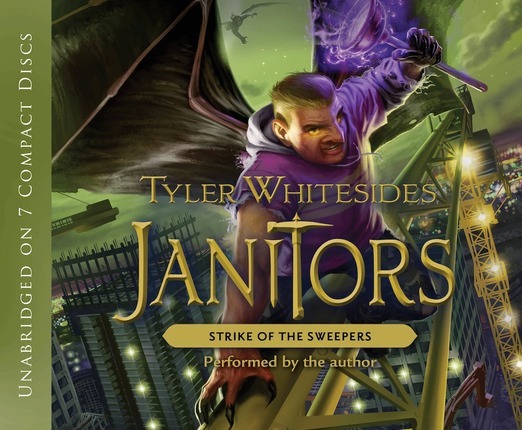 It is a wild and slightly unsanitary ride as Spencer, Daisy, and the Rebel Janitors find themselves chased by Mr. Clean's new and terrifying half-breed Toxites—the Sweepers. Time is short. 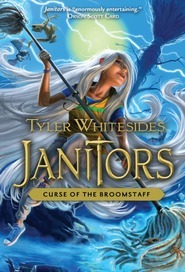 With the fabled Manualis Custodem in hand, Spencer must figure out how to summon the Founding Witches if they ever hope to mop up and save education. What a fun (and slightly disgusting) book! I love Mr. Whitesides' creativity and writing style. This book is filled with a lot of garbage, a porta-potty, a germ-filled bowling ball, lots of toilet paper, and maybe even a little magical dust. I love the new glopified inventions in this book; I think I need to stock up on squeegees and Windex! The characters, as always, are great. They can be a little cheesy at times, but they are also brave, witty, intelligent, creative, and well developed. I love that when you read this book the unbelievable is believable! If you've read the first three, you definitely need to read this one! If you haven't read any in the series then you should check them out! There's no profanity or "intimacy." There is some minor violence (fighting Toxites), and couple characters do die. I recommend it for third grade and up. My 13 and 11 year-olds love it too! 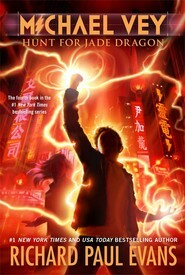 You may read my full review on my book blog: the-readathon.blogspot.com. 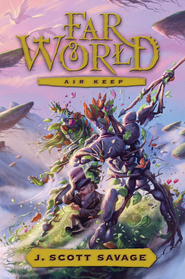 Whitesides has delivered another heart-pounding adventure full of fantastic inventions, daring-do, and betrayal. Spencer, Daisy, and their friends are determined to use the recently acquired Manualis Custodem (see book 3) to help bring back the Founding Witches. But things aren't looking good when they come up against Mr. Clean and his new goons, the Sweepers time and time again. Can the Rebels accomplish their goal of freeing the witches? And if they do will it turn out to be everything they hope for? I don't dare say more than that because I don't want to give anything away and there are some rather shocking twists in this book. 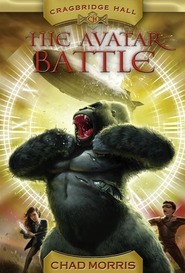 But the excitement and fast moving plot will keep readers glued to the pages and eager to read the final volume. Sigh. I hate having to wait a year for the next book in a series, especially the last book. Although, you'd think I'd be used to it by now. 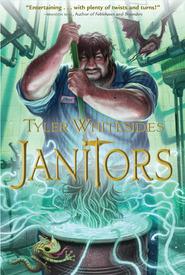 I really enjoyed getting back into the lives of Spencer and Daisy, Walter, Alan, Penny, and Bernard, the garbologist. One of my favorite things though is Bernard's fancy new garbage truck. I never would have expected to find a garbage truck cool, but this one is very cool (it's been Glopified of course). 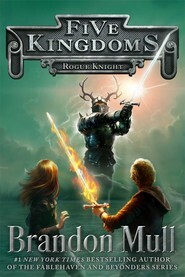 This is an amazing series perfect for fantasy loving readers, but there is fantasy violence and some deaths but they aren't graphic at all. One of my all time favorite series. THIS SERIES CONTINUES TO AMAZE AND ENTERTAIN! 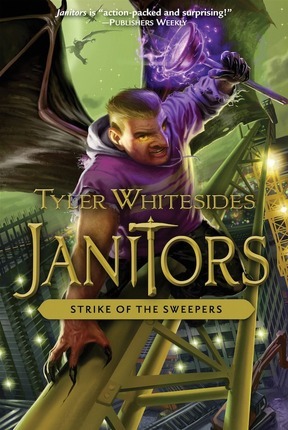 Join Spencer, Daisy, Dez and the other rebels as they battle with Mr. Clean's "new and terrifying breed of toxite-- the Sweepers." Can Spencer protect the Manualis Custodem and find the founding witches before it is too late? This is a book for the WHOLE FAMILY! DON'T MISS OUT~ THIS ONE IS WORTH IT!